“This phase in a project timeline is always detail focused. In order to ensure every component is put into production to match original conditions and specified requirements, you have to verify every single detail. Long-term damage of the Chapel was widespread. Over the years, chemical reaction of water-soluble paint being applied over her original alkyd paint produced flaking, deterioration and discoloration. 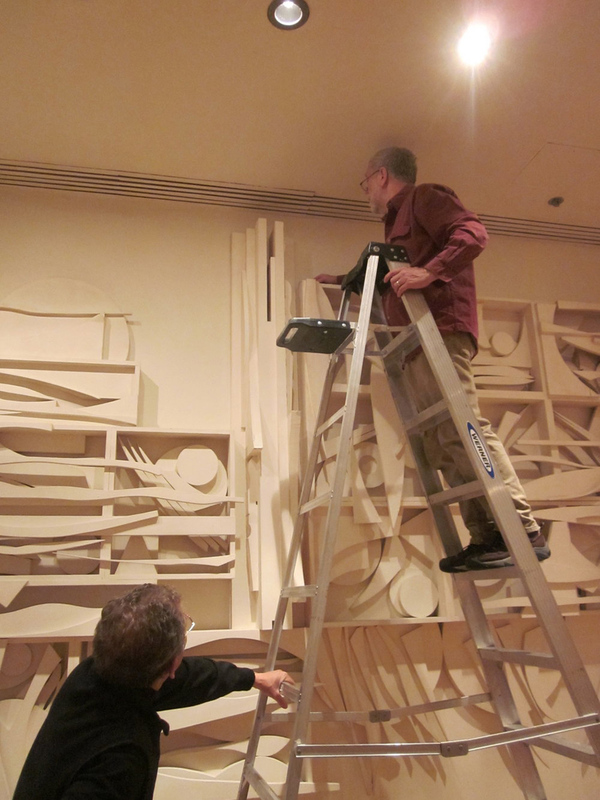 Caretakers of Nevelson’s work in the chapel followed her guidelines ~ not knowing the future consequences. 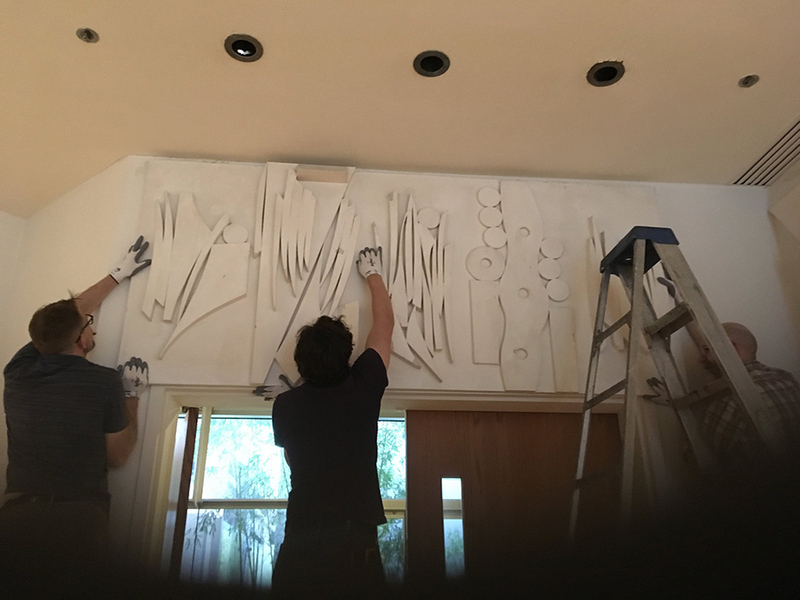 The good news is that because the care taking did not involve sanding her work down to the wood, it preserved Nevelson’s original paint ~ valuable for research and artistic preservation. 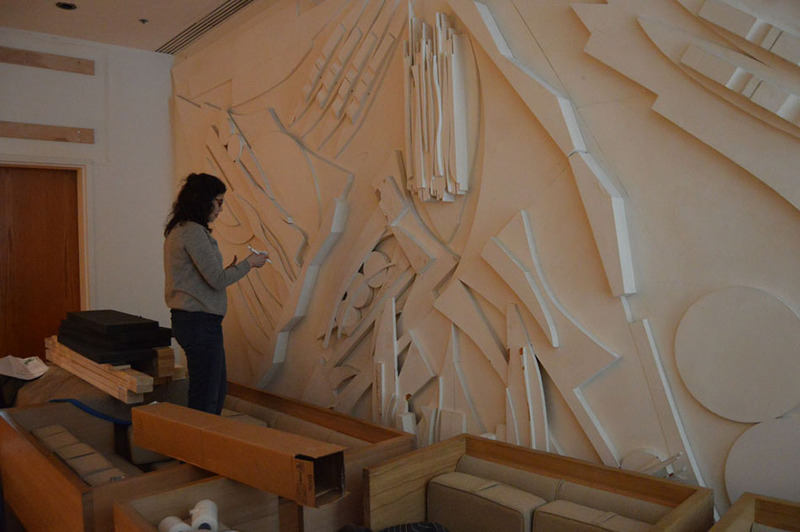 The Louise Nevelson Chapel of the Good Shepherd has been undergoing a four-phase restoration process. It began with the stabilization of flaking paint and protecting areas most sensitive to HVAC damage. The restoration moved on to securing the sculptures in advance of the work, modernizing windows and the skylight, installation of properly directed ductwork and lighting, replacing the ceiling, and installing a dedicated HVAC/humidification unit outside the Chapel isolation zone. 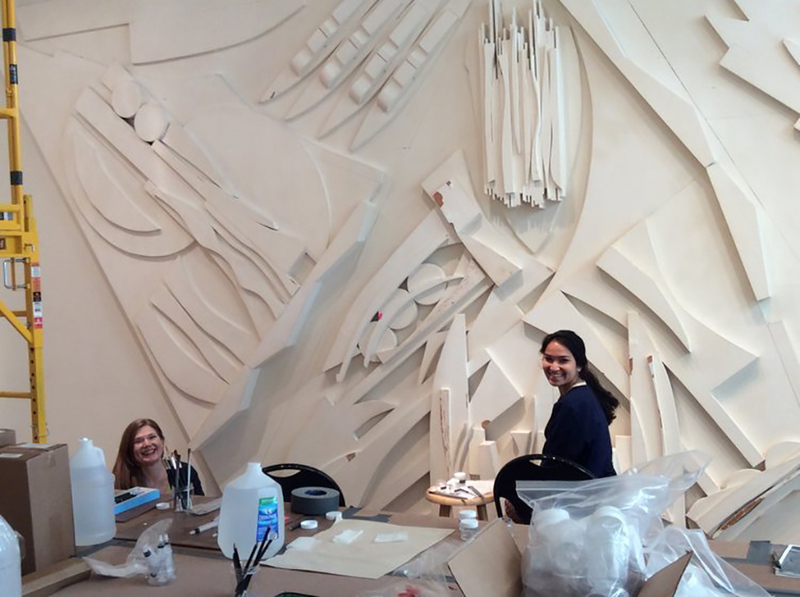 Phase 3 is now underway, which addresses paint damage, removing non-Nevelson paint and the conservation of original paint, as well as providing for future conservation and research. This phase also includes the development of cultural and educational programming. The final phase, Phase 4, is in the planning stage. It will include endowing the Chapel to provide funds for its upkeep, and shining a light on the artists’ ground-breaking work. This phase will also include providing opportunities for contemporary artists. 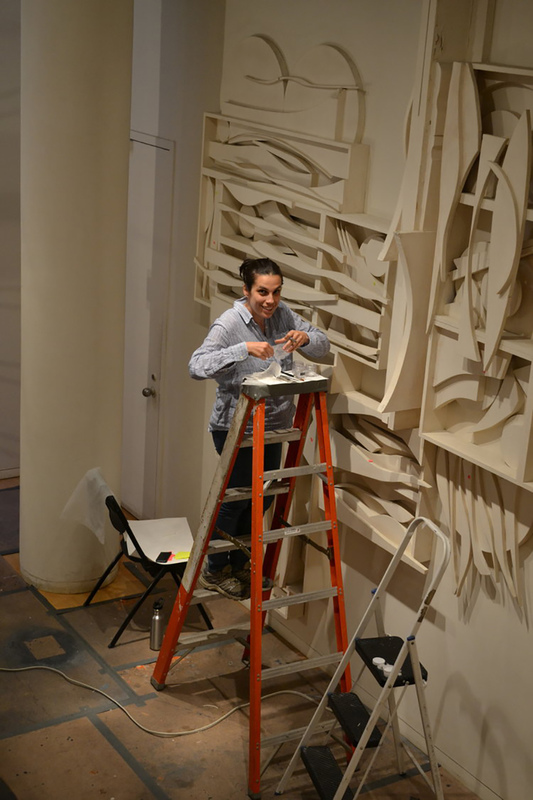 The Opening of the Louise Nevelson Chapel will take place on May 13th from 6-8pm, as the Chapel kicks-off Sacred Sites Open House. 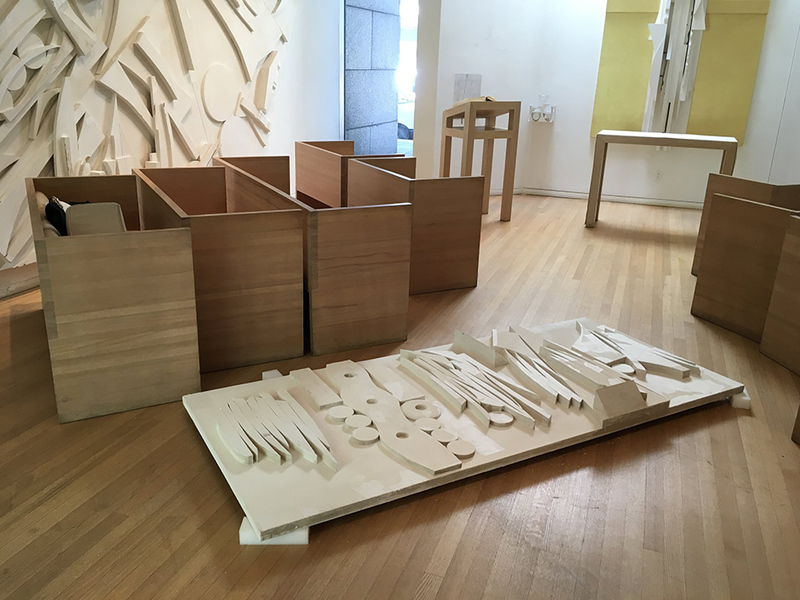 A lecture by Glen Umberger, Manager of Special Projects (The New York Landmarks Conservancy) will begin at 6:30pm, with a Reception to follow, and a tour of the newly restored Louise Nevelson Chapel of the Good Shepherd. The Chapel will also participate in the New York Landmarks Conservancy Sacred Sites Open House Weekend, May 18-19, 2019. 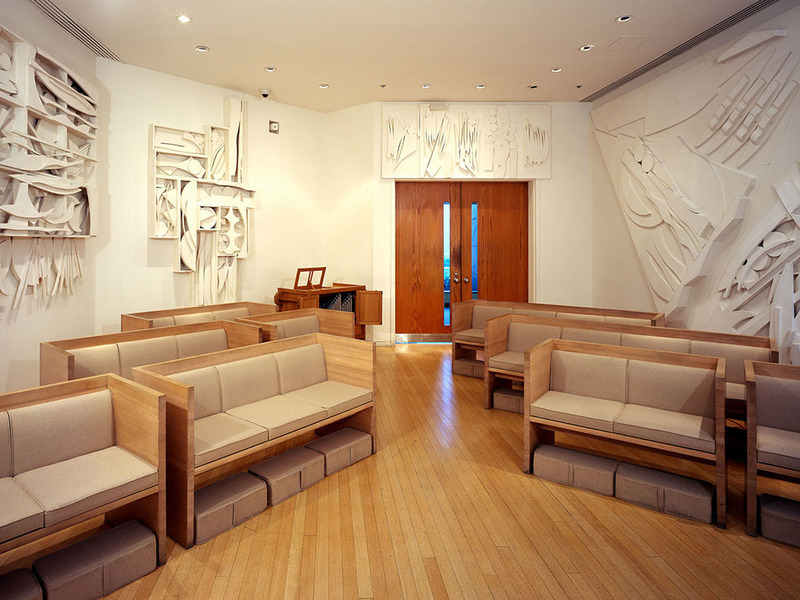 The Nevelson Chapel, a comprehensive sculptural environment in the heart of Saint Peter’s Church, is located at 619 Lexington at 54th Street, NYC.